Coffee has always had a wide range of myths attached to it in regards to its effect on health, but increasingly research and studies are coming out that show coffee to be far more beneficial than harmful. Some of the myths attached to coffee consumption include the idea that it stunts growth, causes heart problems, is addictive or has a negative effect on bone marrow. Most of the negative press is attached to caffeine, but caffeine is a natural substance that is found in a great variety of plant life and tends to only have negative effects in people who are sensitive to it. Even though the American Medical Association generally recommends moderate consumption of coffee, most of the recent research suggests you can drink just about as much coffee as you want. Is It Bad To Drink Coffee Everyday? How Much Coffee Should You Drink? The vast majority of coffee drinkers tend to drink coffee in the morning when they first wake up. 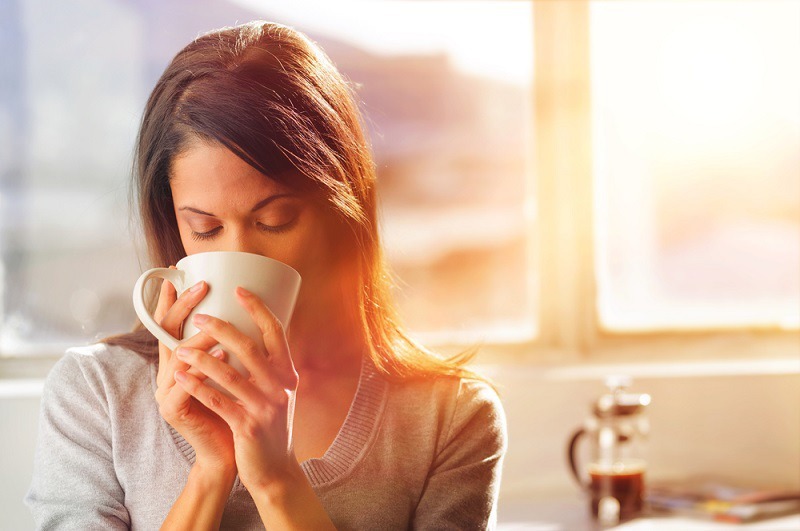 It’s a habit that’s deeply embedded in most coffee drinkers, but the truth is that the morning may not be the best time to drink coffee after all. The reason for this lies in the high amount of cortisol present in your body in the morning. When you drink coffee with high cortisol levels, it interferes with the body’s ability to create cortisol. The other thing that drinking coffee right away in the morning does is increase your caffeine tolerance. The main effect both of these things have is that coffee isn’t going to have as much effect on making you awake and alert in the morning as time goes by. The best time to consume coffee or other caffeine is actually between 10AM and noon, and then again between 2PM and 5PM. So if you’re finding that your morning cup of Joe isn’t having the effect you’re used to, you might want to switch up your coffee consumption time. Is it bad to drink coffee at night? This is one common thought that does have some good reasons behind it. Drinking coffee, or anything with caffeine, at night can mess up the body’s internal clock. Obviously the initial effect of drinking coffee at night will be that it keeps you awake longer. However, the longer effect is that it will start pushing your internal clock back so that you won’t want to go to sleep until later. Of course, like anything, coffee in the evening isn’t bad for everyone. If you work irregular shifts, for example, or if you’re jetlagged. Some research shows that coffee’s ability to change your body clock, can actually help with jetlag. If you have insomnia though, most experts recommend pushing your coffee consumption back until it resolves. Besides these, coffee also contains a high amount of antioxidants and many people who consume a Western diet are more likely to get antioxidants from coffee than from fruits and vegetables. For example, one cup of coffee contains 11 percent of the RDA of vitamin B2. The average coffee drinker consumes between three and four cups a day so that adds up quickly. If you drink coffee at the prime times previously mentioned, you can receive the positive boost of caffeine, which is a stimulant that helps reduce tiredness and increase brain activity. Caffeine also helps boost metabolism, which burns calories and suppresses appetite. More research shows coffee having a protective effect against neurodegenerative diseases and mental health issues such as depression. Coffee drinkers also benefit from a lower risk for Type 2 diabetes and over an 80 percent lower risk for liver disease. In this case, the more coffee you drink the better as the biggest protective effect comes to those who drink more than four cups per day. Overall, this translates to coffee drinkers having a longer lifespan. It’s important to remember though that the majority of this research indicates black coffee or coffee that’s barely modified. Once you start adding sugar, fake creamers or a lot of milk or cream, you start to get the added negative effects from these other substances. You can easily transform a two calorie cup of black coffee into something with at least 50 calories and that will add up quickly. How much coffee you should drink varies with your preferences and sensitivity. 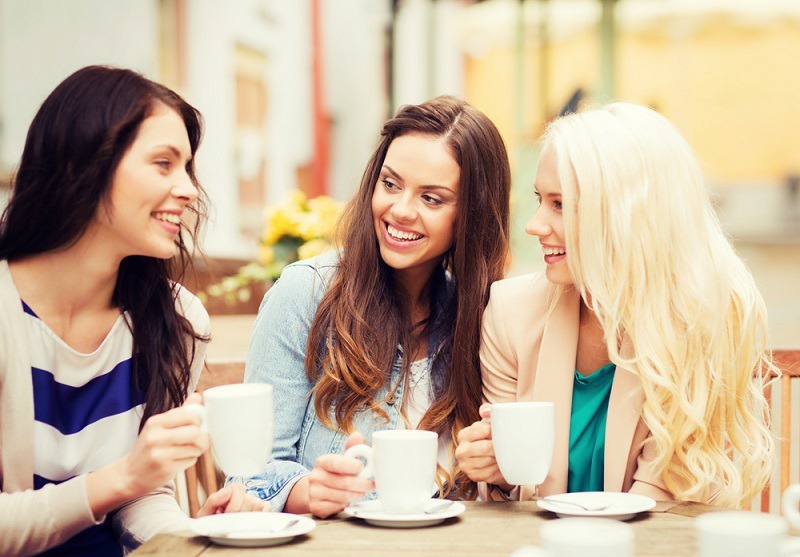 Coffee and caffeine can affect sensitive people negatively and you shouldn’t drink more than you can handle. In general, an eight ounce cup of coffee contains about 100 mg of caffeine and the recommended safe amount for most people is 400 mg of caffeine. Remember that if you consume other sources of caffeine, your mileage on this may vary. The main thing to watch out for is the effect that caffeine has on you personally. Short-term symptoms of caffeine consumption can include anxiety, rapid heartbeat, tremors, upset stomach, dizziness and irritability. If you have any of these symptoms after consuming moderate amounts of caffeine, you may have a sensitivity. If you drink coffee every day, you are more likely to develop a tolerance to caffeine. Some conditions like anxiety, heart arrhythmia, diabetes or high blood pressure may also cause caffeine to affect you negatively. If you have any concerns about caffeine consumption or if it is affecting you negatively, you should always ask your doctor. The good news is that the long-term effects of coffee consumption are largely positive and if you don’t drink coffee now, you might want to start.